Forrest claimed in November he wanted to stay at Parkhead and was “pretty confident” a new deal would be sorted out. Unusually, Forrest’s contract runs out mid-season - in December 2016 - so Celtic might look to get a fee for the winger in the summer. Deila, who had earlier confirmed a four-year deal was on the table, told the Evening Times: “We offered him a contract and he has turned it down. He has told us he wishes to see what his other options are. 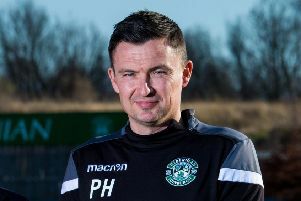 Forrest’s decision will no doubt come as a personal blow to Deila, who has worked with his medical and sports science staff to find a way of keeping the wide man consistently fit following a spate of muscle injuries. Deila revealed in December 2014 that Forrest had been “out for 550 days in the last four years” but the player has already made 32 appearances this term, breaking the 30-mark for the first time in four seasons, although 14 of them have come off the bench. The Prestwick-born player, who scored on his debut against Motherwell in May 2010, is listed on Celtic’s website as having made 187 appearances and scored 30 goals in his Celtic career. He also has 13 Scotland caps to his name. Forrest’s emergence from the Celtic youth ranks coincided with the departure of Aiden McGeady in a £9.5million move to Spartak Moscow but the Scottish champions look like getting a far smaller return, if anything at all, for his successor.